See seventeen vocalists vie for their chance to win “Sing for your Heart Young Asian Canadian”. The Grand Prize winner receives $1,000 and studio time with Canadian Idol producer Chris Perry. “Ang Pilipinas ay magandang bansa” means the Philippines is a wonderful country. Be Filipino for a few days and come celebrate the 112th Philippine Independence Day at events around the Lower Mainland. 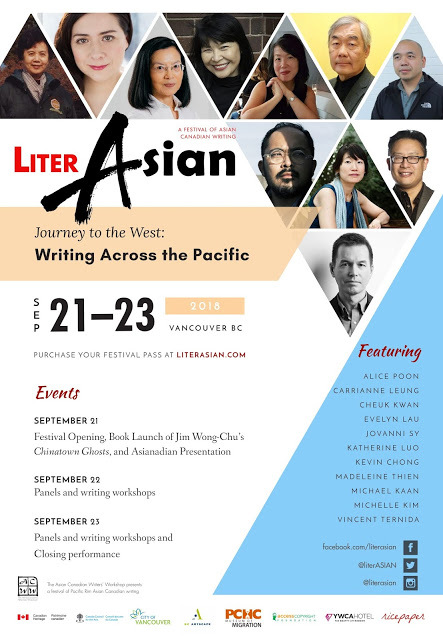 For more information on the events around the Lower Mainland go to: www.vancouverfilipino.ca/events or Schema Magazine. Join one of the largest gather of Filipinos at The Philippine Independence Day celebration in North Vancouver. After attending all Sunday spiritual services go to the Kababayans and bring your families, friends, relatives and even your non-Filipino friends to the Waterfront Park, and there- have your lunch, watch the various presentations, and even get the chance to win the fantastic prizes. Don’t miss the colorful opening ceremonies and parade of colors at 10:30a.m. Hosted By V.C.D (FOB COMEDY JAM), come see ONeal Mendoza perform arts and training. With live performances by WHIZDUMB – Foundation Radio, DIANNA DAVID – Dubb D Productions, BOOMBOX SAINTS, SRY ENT, RULING ELITE -Babala Records , TOXIC SLIME. SVS and many more. If you wish for your funny bone to be tickled check out VCD and Friends in this Comedy Spectacular! Performances by Chris Casilan, VJ Delos Reyes and David Dimapilis. Savour yummy food provided by Dave’s Famous Anuling BBQ and Mama’s Pancit! If you are in the Toronto area, be sure to check out the Lechon Parade. Every day around 16 crisply browned lechons, which will be chopped up, placed in individual small plastic bags and distributed for free to any one who lines up for it. See the next upcoming superstar as performers compete for the Filipino Singing Idol Grand Finale! Everything from hip hop, rock bands, folk dances and signing divas. Also, Mass will be celebrated by Fr. Macalipay at the start of the event on Saturday, while the Santacruzan will end the festivities. Something for the kids – A new drawing/art contest will be open for elementary school children. Prizes include brand new bicycles. Earlier in both two-day activities, the Toronto Police will conduct the Bike Ride. The Philippine Artists Group of Canada (PAG) presents Pinsel: a tribute to Master Rolando Lampitok Senior, a founding member who recently passed away. PAG is the largest Asian Canadian group in the country who practise and promote Filipino art and culture. Officially formed in 1988, the group is composed of professional and emerging artists. Twelve members are participating in this colourful exhibit and present works in oil, acrylic, watercolour and mixed media paintings. Of course, there are many events around North America to commemorate Philippine Independence Day. Go to Experience Phillipines, this campaign was set up to encourage and invite North Americans from all over to enjoy and experience the rich culture of the Philippines at various cities across North America including Ottawa Ontario; San Francisco, California; Chicago, Illinois; and Winnipeg Manitoba just to name a few.